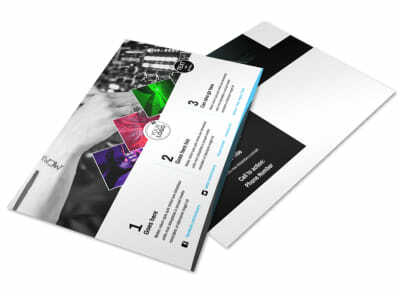 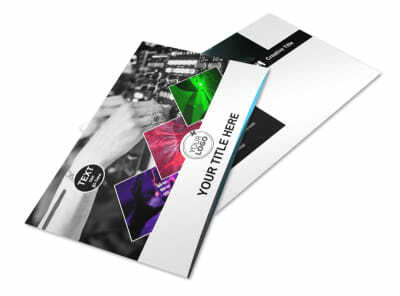 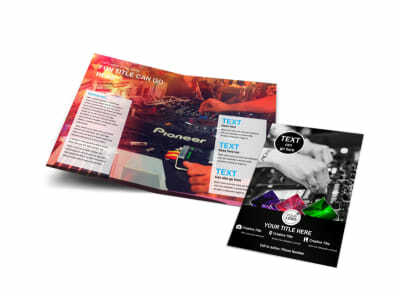 Customize our DJ Event Package Business Card Template and more! 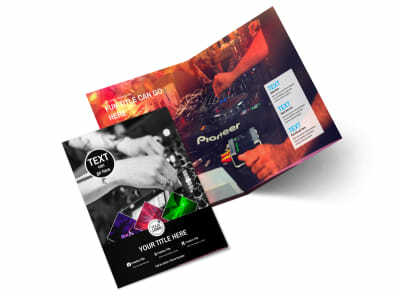 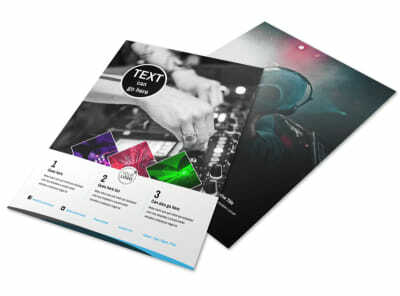 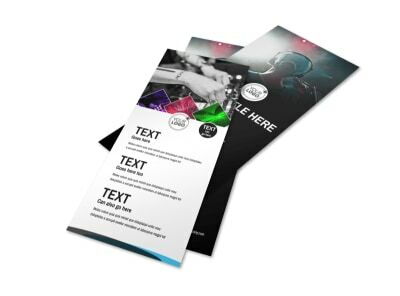 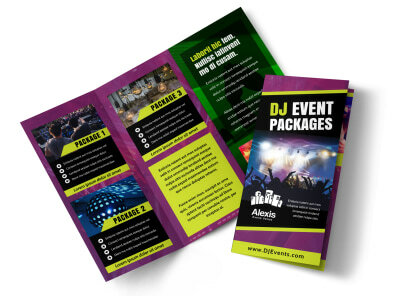 You spin all the best hits so let them know with DJ event package business cards. 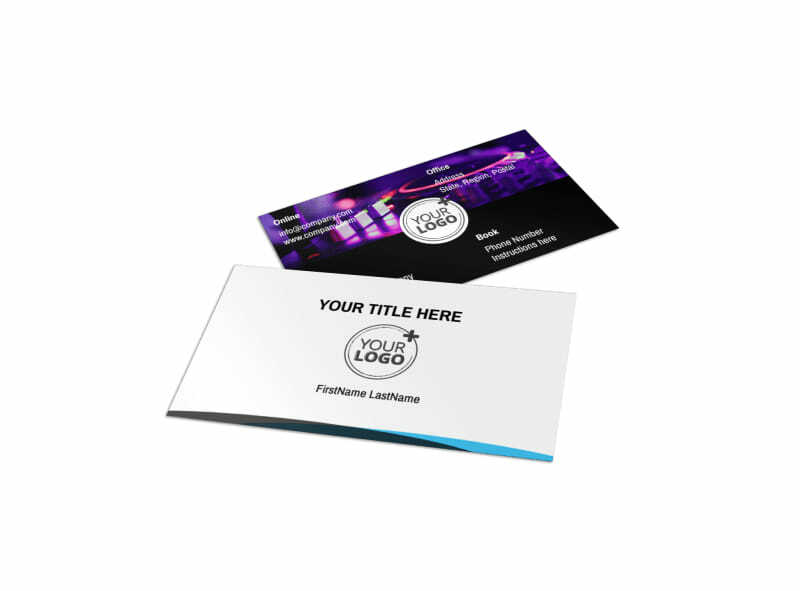 Check out our inventory of business card templates, choose the one you like, add your logo or graphic, and make customizations using your own color scheme, fonts, and other elements. 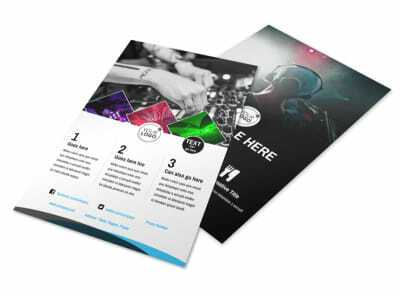 The process is simple, fast, and fun, and you have the ability to print your business cards from any location using your own printer.